Wondering what the top tourist attractions in Slovenia are? The tourist attractions in Slovenia reflect the uniqueness of this nation in Eastern Europe. Slovenia has some things in common with Luxembourg. Like the latter, Slovenia shares borders with different civilizations in Europe. Luxembourg has three various neighbors, while Slovenia has four. To the north lies the Teutonic nation of Austria. South of the country is the Slavic country Croatia. Eastward is Hungary, home to the ancient Eurasian steppe nomads. Lastly beyond the western border lies Italy, the country of the famous Romans. In a certain way, Slovenia is fortunate to have these four cultures become an influential part of its civilization. Needless to say, it is not surprising to find this country to be a bit multi-ethnic. Piran is an old seaport located at coastal cape along the Adriatic Sea. An interesting aspect about this harbor town is that the architecture of the buildings is predominantly medieval Venetian. It shows how strong the Italian influence is in this part of the country. People, both native and foreign, visit this place for their excellent seafood. Going for a swim at the beach is also a viable idea, especially with the kind of atmosphere akin to Mediterranean coast of Venice. The Postojna Cave is one of the top tourist attractions in Slovenia for eco tourist with a keen fascination for geology and biology. This cave covers a regulated distance of 5 kilometers accessible view electric train trolley. At one end of the stalactite and stalagmite tunnel is the sight of a unique human fish species better known in the scientific community as proteus anguinus. The Sunny Alps is one of the most exciting places in Slovenia to have a vacation. This venue is part of the Julian Alps and is famous for its resorts and vacation farms. It is in this place where one can find the 85-hectare vast Triglav National Park, one of the biggest parks in Europe. People can enjoy a wide array of water outdoor activities such as rafting, kayaking and hydro speed cruise along the lakes Bohinj and Bohinjka Bistrica. The Kranjska Gora is another part of the Julian Alps that is famous among eco tourists. However, unlike Sunny Alps, the fun activities in Kranjska Gora are defined by pushing the envelope of the human body’s normal capacity. The available outdoor recreations include horsemanship, paragliding, mountaineering and other winter sports. But people with a more relaxed and pacified sense of amusement can go for fishing instead. Ljubljana is the capital city one of the top tourist attractions in Slovenia for those tourists looking for the best that civilization has to offer. Travelers with academic fascination will certainly dig the National Museum and the City Museum. Patrons of the arts and architecture can also visit the magnificent two towers of Ljubljana Cathedral as well as the Modern Art Gallery. 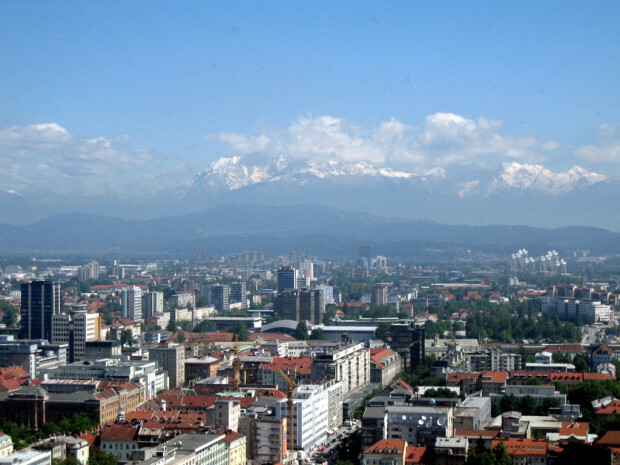 All of Ljubljana contains five millennia’s worth of national history. Posted in Budget Travel, Destination and tagged with caves, culture, history, Mountains, Slovenia. RSS 2.0 feed.